If your pet is hospitalized at Jefferson Animal Hospital, your pet is being cared for 24 hours a day by a very compassionate and high trained veterinary staff of doctors and technicians. We monitor our patients hourly for vital signs, food and fluid intake and changes in medical status. 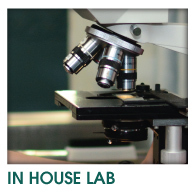 Having diagnostic equipment in our hospital and an intensive care unit (ICU) along with 24 hour veterinary staffing provides lifesaving measures for sick or injured pets. 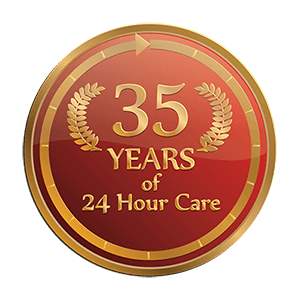 Jefferson Animal Hospital and Regional Emergency Center has provided around the clock nursing care by trained technicians since 1980. 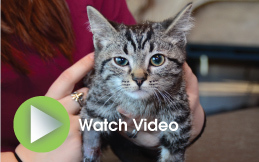 This continuous care of sick and injured pets is the core of our 24 hour philosophy. Pets with serious illness or injuries have a documented much higher rate of recovery. If your pet is receiving IV fluids for kidney or liver disease or other serious illnesses, the medical problem needs continuous medication for recovery. We have proven this again and again in our 35 years of being open 24 hours. Hospitalization may be recommended for your pet when they need intravenous fluid support, need medications that cannot be given at home or when there is a need to restrict mobility or provide adequate rest. We know how stressful it is when your pet is hospitalized and we want you to know your pet's condition. We ask that you call the hospital once or twice a day. We would prefer that only ONE member of your family be responsible for talking to the doctor or staff concerning your pet's condition. That person can then keep everyone else in your family informed. The best times to call are early in the morning (the night shift doctor goes off duty at 7 a.m.), or later in the evening (the day shift doctor goes off duty at 7 p.m.). Of course, we are here 24 hours, so we are happy to update you as to your pet's condition at any time. Leave an Emergency Contact Number in order to reach you quickly if needed. Inform Your Pet's Regular Veterinarian in order for us to work together to help your pet. Ask for a Bill Update if your pet’s hospitalization lasts over 24 Hours as costs can be high and we want you to be informed. When your pet is ready to go home, we will make a discharge appointment with you. Having an appointment allows our doctors the appropriate time necessary to discuss at-home care and instructions with you. 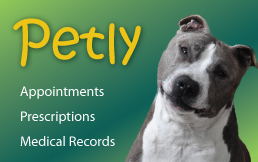 Please call us if you have any questions or concerns about your pet's progress. It is very helpful, even if things are going really well, for you to call us the day after hospitalization and give us a progress report for your pet. Our doctors and staff are interested in your pet's recovery, and we want to make sure that at-home care is going according to plan.